A lot of people get braces when they are tweens or teens. It’s almost like a rite of passage of adolescence to walk around for a few years with a mouth full of metal. But not everyone gets braces, even if they need them. Some may not have gotten braces because their parents couldn’t afford them, and some may not have gotten braces because their orthodontic issues were not properly diagnosed. Those who didn’t get Peoria braces as a teen may decide that they finally want to fix that gap or overbite when they are adults and have the means to take care of the problem on their own. Yet some may hesitate because they don’t want that “metal mouth” look that’s associated with teen stereotypes. Others may hesitate because they think they are too old for braces. But that simply isn’t the truth. Fortunately, there is no ideal timing to get Peoria braces when you are adult. That’s fortunate because there is no cut off for getting braces if you want them. You can be in your 80s and still get braces. You never run out of time to get the smile you want. Your teeth are easier to manipulate when your bones are not fully developed, which is when you are in your early adulthood. However, that doesn’t mean that your teeth cannot be changed even if you are later in life. Your treatment may last longer when you are an adult, but you can still get great results. Many orthodontists recommend that children get their first evaluation when they are seven. The goal is to identify any potential problems as early as possible. The problem is that if treatment begins too early, those children may have to get a second course of treatment when they are older. That can cost a lot of money, and it can cause children to become burnt out on orthodontic treatment. 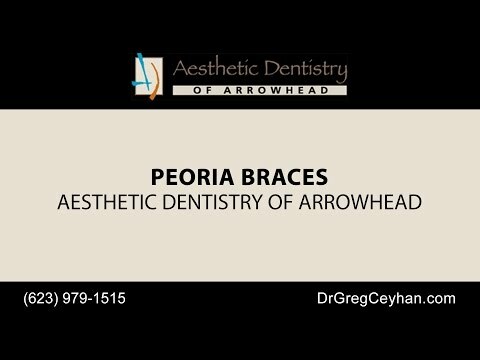 Most people get braces near Peoria between the ages of 12 and 14. That’s a good time because the teeth are settled, but the bones have not become fully developed. It’s easy to see what the problems are with the teeth, but it’s also still easy to manipulate the teeth. If you missed that window, you don’t have to worry. You can see a cosmetic dentist at any time to get your teeth straightened. Your age does not influence what options you have for braces near Peoria, fortunately. That means that you can get the traditional metal braces if that’s all your budget allows, or you can get Invisalign treatment that won’t stand out on your teeth. With Invisalign, you can straighten your teeth without feeling like a gawky teenager. However, you may not be eligible for some treatments, such as Invisalign, if you have more severe orthodontic issues. You may have to get more intensive treatment instead. 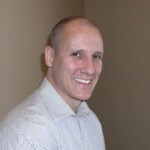 The only way to know for sure is to get evaluated by a cosmetic dentist near Peoria and to get tailored feedback. Of course, braces are not the only option for getting a straight smile. You can get dental implants near Peoria or veneers to correct crooked teeth, as well. Not only will these options give you a straight smile, but they will also correct issues with the shape and shade of your teeth. For example, you would get well-rounded and full teeth instead of thin or pointy teeth, and you would get perfectly white teeth that can’t be accomplished through whitening if your natural teeth are very stained. Just keep in mind that these other aesthetic treatments cannot correct bite issues. Again, it’s important to talk with a cosmetic dentist near Peoria about the issues you’re facing and the appropriate options. Aesthetic Dentistry of Arrowhead in Arizona offers a range of options to help you get the beautiful smile you’ve always wanted, no matter how old you are. After an initial dental exam, we can help you understand what options will help you get the best results, whether it be braces, implants, or other treatments. Our Peoria cosmetic dentist performs a full range of preventive and cosmetic procedures, helping you to get a healthy and beautiful smile. Call us in Arizona today to schedule a dental exam and to start exploring your options.